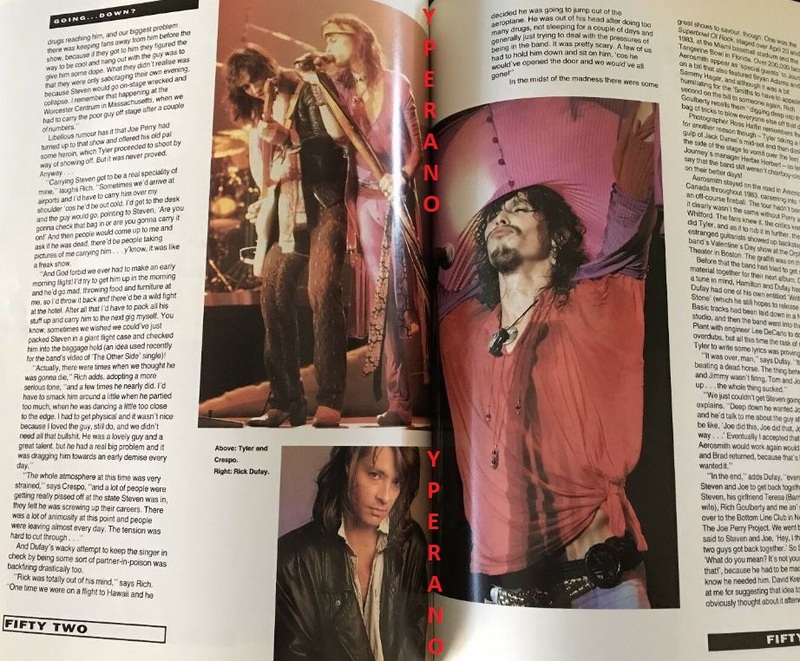 AEROSMITH The Fall And Rise Of (Superb 1991 UK 80-page softback book by Mark Putterford includes UK discography and some great photographs!). Read this book and realise how very little you know about the band’s history, or indeed the different personalities involved. Read about the origins of mega rockstars Steven Tyler, Joe Perry, Tom Hamilton, Brad Whitford, and Joey Kramer, from the group’s near break-up to their path of success. 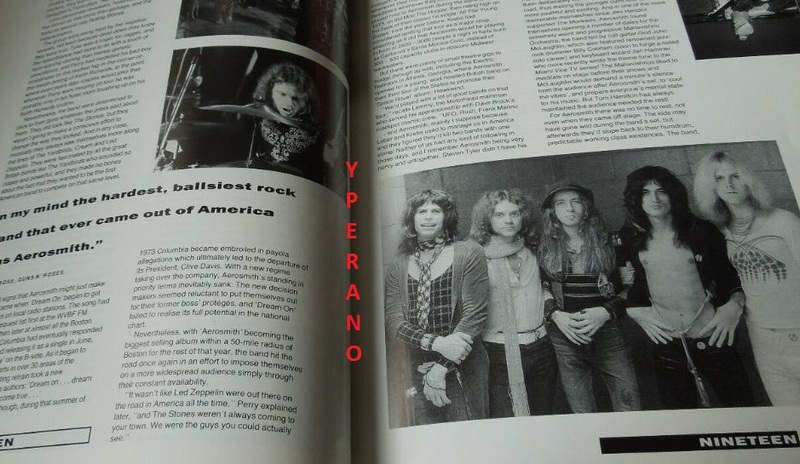 Within five years of their explosion on to the US rock scene, Aerosmith withered and died musically, only to return successfully five years later. 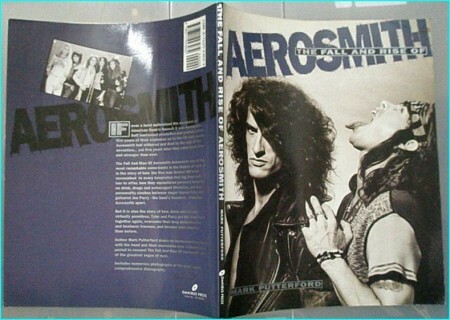 The author draws on numerous interviews with the band and their associates over a 12-year period to recount the fall and rise of Aerosmith. He documents one of the most remarkable come-backs in the history of rock. It recounts how the band squandered their fortunes on drink, drugs and extravagant lifestyles before overcoming their drug dependencies and business traumas to become more popular than they had been before. Their follow-up album Rocks (1976) also had strong sales despite the lack of a breakout single, as did Draw the Line (1977). 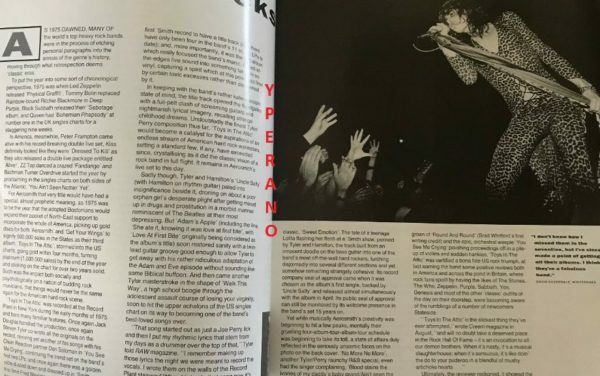 But by the end of the decade, the band was coming apart at the seams. Perry and Whitford eventually left the group while Tyler became heavily involved with drugs. 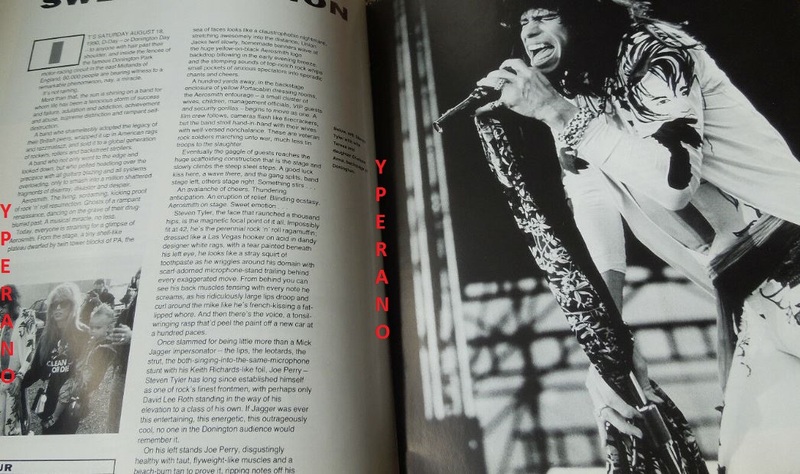 Tyler kept the group going by adding new members, but his personal problems affected his creative abilities and Aerosmith was only a shadow of its former self. By the mid-1980s, Tyler had gotten his act together after going through a rehabilitation program. In 1986, rap group Run-D.M.C. covered Aerosmith’s famous “Walk This Way” single on their Raising Hell album. The rendition featured vocals by Tyler and Joe Perry, and helped push Aerosmith back into the limelight. By 1987, the band had made a successful comeback: That year, Aerosmith released Permanent Vacation, which featured the hits “Dude (Looks Like a Lady)” and “Rag Doll.” The revitalized rock supergroup had more commercial success with its next effort, Pump (1989), which featured such songs as “Love in an Elevator” and “Janie’s Got a Gun.” With the rise of MTV, the band’s videos helped them win over a new generation of fans. AEROSMITH: Permanent Vacation LP. Check videos. CLASSIC ROCK magazine 5 (July 1999) with CD. Aerosmith. N.W.O.B.H.M special, Def Leppard, MICHAEL SCHENKER, E.L.O-.